Adapted Lego kit; sensor-laden robot skin; memory effects. To bring more of the features of modern biology labs — that often use robotic assemblies to drop precise amounts of fluids into experimental containers — to students and teachers, Stanford University researchers have shown how an off-the-shelf Lego kit can be modified to create inexpensive automated systems to do this in clubs or classrooms. The team pointed out that elementary and secondary school students who later want to become scientists and engineers often get hands-on inspiration by using off-the-shelf kits to build and program robots but so far it’s been difficult to create robotic projects to foster interest in the so-called “wet” sciences – biology, chemistry and medicine – because experiments in these field often involve fluids. Enter Stanford bioengineers who have shown how an off-the shelf kit can be modified to create robotic systems capable of transferring precise amounts of fluids between flasks, test tubes and experimental dishes. 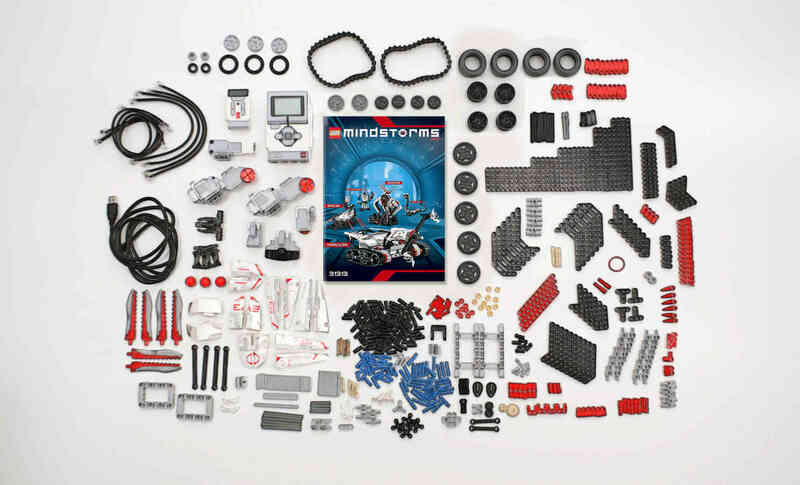 They combined the Lego Mindstorms robotics kit with a cheap and easy-to-find plastic syringe to create a set of liquid-handling robots that approach the performance of the far more costly automation systems found at universities and biotech labs. The robots were designed to pipette fluids from, and into cuvettes, and multiple-well plates –types of plastic containers commonly used in laboratories. Depending on the specific design, the robot can handle liquid volumes far smaller than one microliter, a droplet about the size of a single coarse grain of salt. 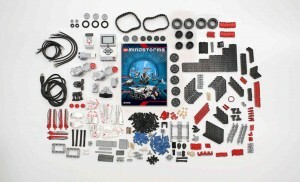 Riedel-Kruse believes that these Lego designs might even be useful for specific professional or academic liquid-handling tasks where related robots cost many thousands of dollars. Also in the realm of robots, MIT researchers observed that covering a robot (or an airplane or a bridge) with sensors will require a technology that is both flexible and cost-effective to manufacture in bulk, and believe 3D printing could be the answer. 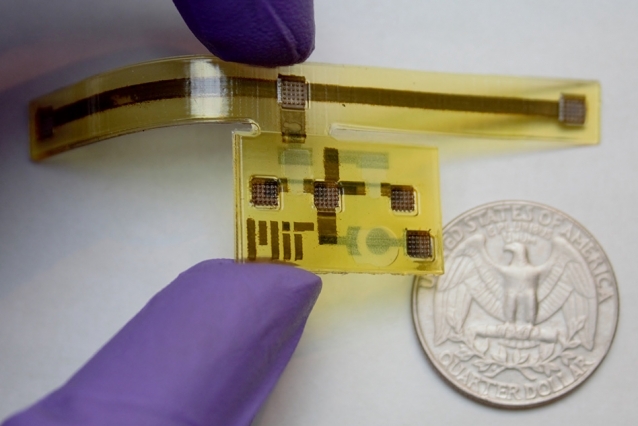 The team said in an attempt to demonstrate the feasibility of flexible, printable electronics that combine sensors, processing circuitry, and the ability to act on their environments, they designed and built a device that responds to mechanical stresses by changing the color of a spot on its surface. The device was inspired by the golden tortoise beetle, or “goldbug,” an insect whose exterior usually appears golden but turns reddish orange if the insect is poked or prodded. Printable electronics, in which flexible circuitry is deposited on some type of plastic substrate, has been a major area of research for decades but the ability to print the substrate itself greatly increases the range of devices the technique can yield. With potential applications in both memory technology, and security, a new kind of memory effect in transition metal oxides (TMO) has been uncovered by researchers at Bar-Ilan University’s Department of Physics and Institute of Nanotechnology and Advanced Materials (BINA). Memory effects in TMOs have garnered much interest, on the side of fundamental scientific interest as well as technological significance. The research team utilized a simple experimental design to study changes in the properties of two TMOs, VO2 and NdNiO3, which undergo a metal-insulator phase-transition, and their results not only demonstrate a new phenomenon but, importantly, also provide an explanation of its origin. The researchers believe that the multi-state nature of this memory effect, whereby more than one piece of information can coexist in the same space, could be harnessed for memory technology. And while deleted computer data is not secure and can be recovered, at least partially, by talented hackers, the “erase-upon-reading” property of this system could make an invaluable contribution to security technologies.